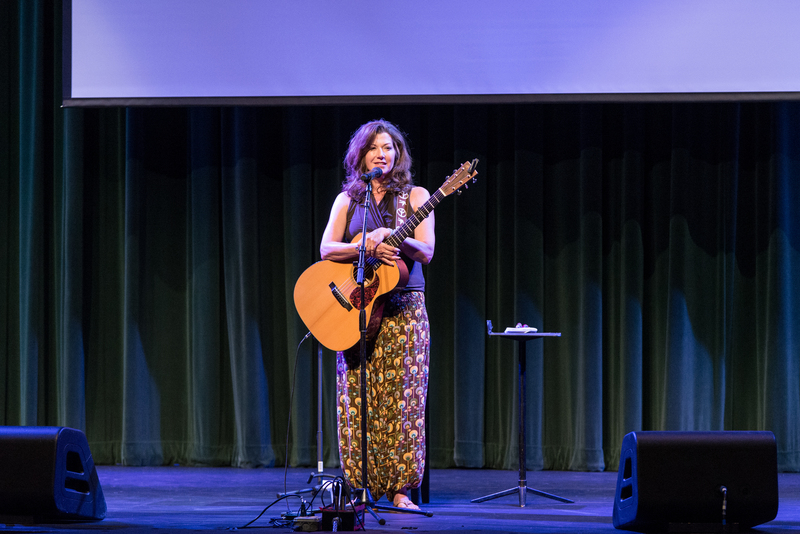 Gospel Music Hall of Fame singer Amy Grant spoke to students and faculty about her faith journey in the Massey Performing Arts Center on Sept. 9. She centered her message on the idea of stillness and how hard it can be to find time for solitude in today’s busy world. Grant began the event by performing her original song “If I Could See (What the Angels See)” on acoustic guitar. She then changed gears by telling a story of when she took her daughters to the family’s farm to spend a day in nature– only to be left alone with the campfire when her daughters ran off to play. Grant discussed how solitude was something she wasn’t used to and how she didn’t know what to do with all of the time she’d spend by herself that night. She eventually turned her attention to the night sky and ended up spending hours thinking about its vastness and various layers. She also considered her relationship with the God who created every part of her view. Grant discussed the importance of having time for stillness in our lives so we can pay attention to the miracles around us. “When you give something your full attention, there’s a better chance it will open itself up to you,” Grant said. The event ended with a meditation exercise led by Grant that involved the audience identifying the constant “chatter” that clouds their minds and trying to block it out by telling themselves that they are “yielded and loved.” Grant says the point of this practice is to slow one’s mind and only focus on remembering that we are loved before we are anything else that we feel like we need to be. Grant made it clear that she is still trying to figure out her own relationship with God and that she continues to grow in her faith over time. “I have sung so many songs, I’ve given so many talks, and I feel like I’m still figuring out my journey with faith,” said Grant. Grant has given faith-based talks at Belmont for several years. She was introduced by the Vice President for Spiritual Development Dr. Todd Lake.